Photographer Christy Johnston captured influencer Ashley Guyatt & her fiancé Brennan reveling in the sun-soaked romance of Napa Valley. After all, where better than California’s wine country to offer a toast—to the happy couple, to the women who inspire us, to a love that lasts forever. Hi there! Thanks for stopping by. 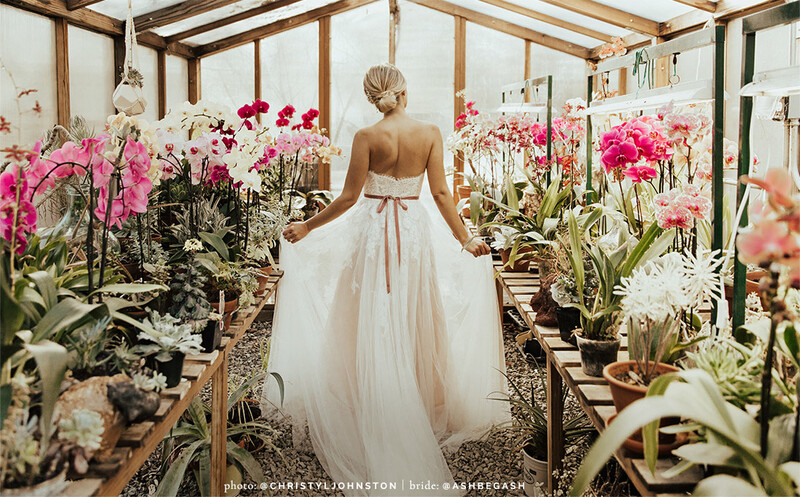 BHLDN (pronounced beholden) is your one-stop shop for all things bridal and event. 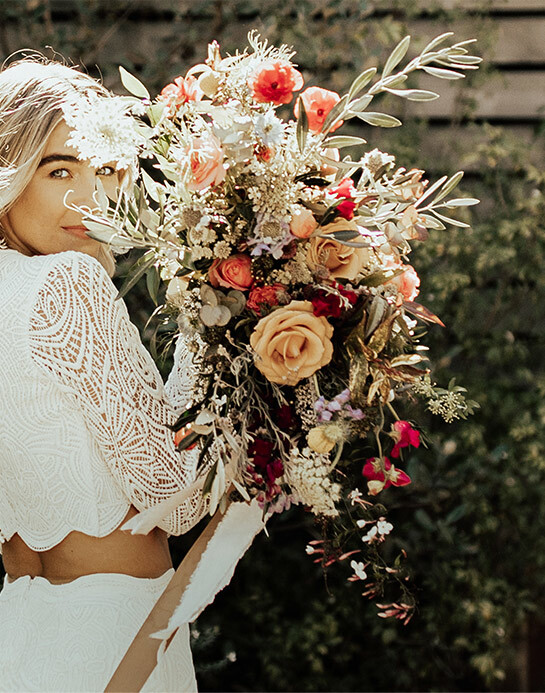 Brought to you exclusively by Anthropologie, BHLDN Weddings offers a full assortment of wedding dresses, bridesmaid dresses, accessories, and décor for price-conscious brides that still want to WOW. We're here for every aspect of your big day, wedding décor, bridesmaids, mother of the bride dresses, wedding gowns, and even special events. 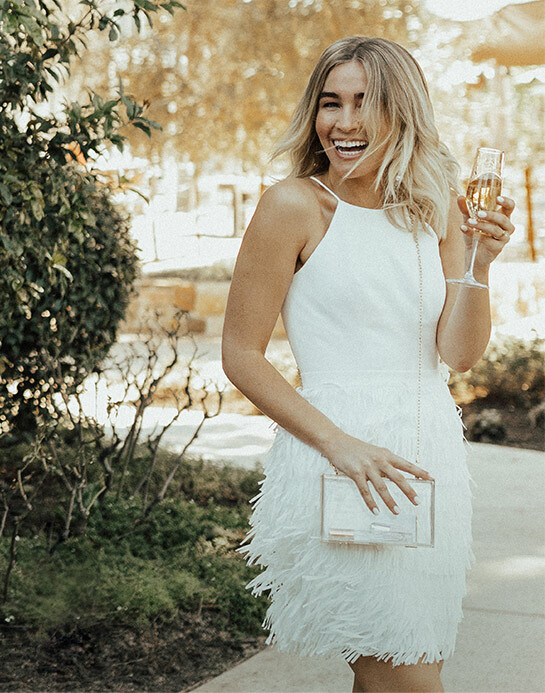 With styles from designers Badgley Mischka, Catherine Deane, Donna Morgan, Jenny Yoo, Monique Lhuillier, Needle & Thread, Tadashi Shoji, Whispers & Echoes, Yumi Kim and more, you are sure to find your perfect gown and accessories. Some of our gown styles are a-line, modern ballgowns, lace dresses, and more. Our web stylists are available to answer any styling questions you have, from which delicate earring to wear to whether that bridal sash goes with your wedding dress. Not sure where to start with your bridal party? 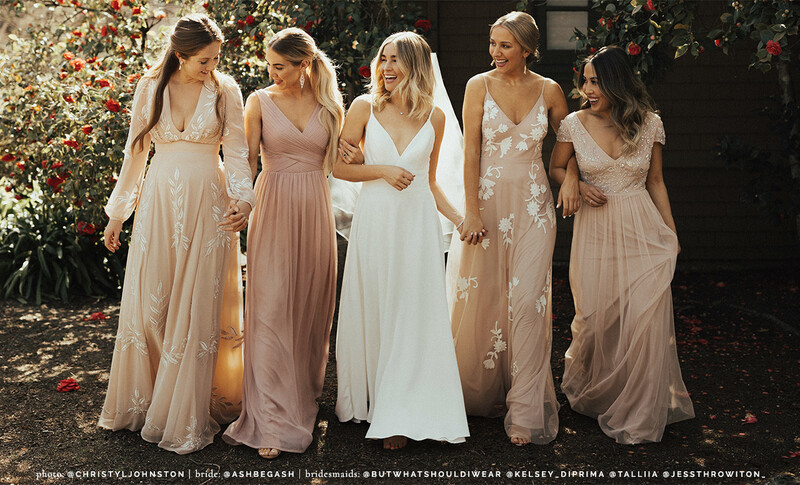 Check out our introduction to mix & match bridesmaids dresses which will give your BHLDN bridesmaids a chance to shine, and most importantly, feel comfortable. 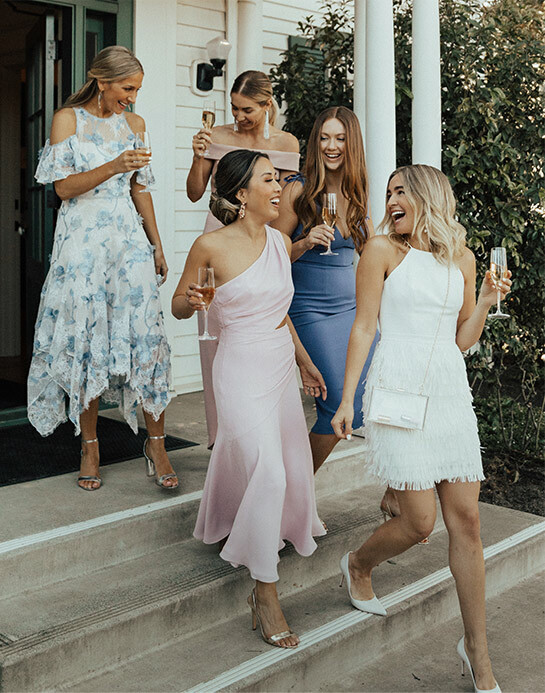 If you are just looking for a wedding guest dress, we have a curated assortment of formal dresses that will make eyes turn at the ceremony. Don't forget to check out our new arrivals, little white dresses, bridal accessories, bridesmaid robes , and bridal separates before you leave! We love our #BHLDNbrides and can't wait to help you celebrate with our BHLDN wedding dresses. Head over to our wedding blog for more inspiration, tips AND advice for all your wedding or event needs. Be the first to know about new arrivals, special events, and (often generous) exclusive offers. By signing up, you agree to receive BHLDN offers, promotions and other commerical messages. You may unsubscribe at any time.